overcome the frustrations of marketing and tell their story of expertise. Haven helps connect your brand to clients and prospects through our locally-focused magazine and a full suite of marketing services including video, social, and content creation. You need compelling content and you need to get that content in front of potential and existing clients at the right time. We make it easy to do both with our Marketing 1–2 Punch. If you’re ready to get started or just have questions, send us an email. We’ll get in touch right away. The team at Haven has been working in the design & construction industry since 2004. In that time we’ve learned what works and what doesn’t when it comes to successful marketing. The publication and media partner we needed didn’t exist so we developed Haven. Take advantage of the success and momentum we’ve been building and start connecting with your ideal clients today. Haven has been a great addition to our marketing efforts. The combination of advertising and content create value for both the reader and the advertiser. Readers are using the magazine as a guide for services on their home projects. We have had many leads as a direct result of our involvement with Haven. The connection with other advertisers has been great as well. Everyone wants to help other businesses and grow our industry. In our entire marketing mix, Haven is the single best use of our advertising dollar. The combination of being highly targeted, high quality production, and sharing pages with the best firms in design, construction and home services, makes the investment in Haven a nobrainer. Haven has certainly been a part of our growth this year, and will be part of our marketing plan for years to come. What started as a few employees casually kicking a soccer ball around one Friday after work has turned into a weekly team-building experience that defines the company culture and people. Haven presents a glimpse into the incredible work that goes into each and every Boral Building Product. Don’t miss this opportunity to make a difference and to mingle with the best of the best in the home services industry of Greater Indianapolis, all while catching the first round of this year’s NCAA tournament! We have rolled out the pink carpet and will be celebrating at Four Day Ray with beer, wine, and hors d’oeuvres courtesy of Oasis Outdoor. Tickets purchased directly support the mission of Twisted Pink, whose efforts focus on funding metastatic breast cancer research. Come as you are, whether you dress casual or professional. This event is open to the public, but space is limited so purchase your tickets today! We can’t wait to celebrate with you on March 21! 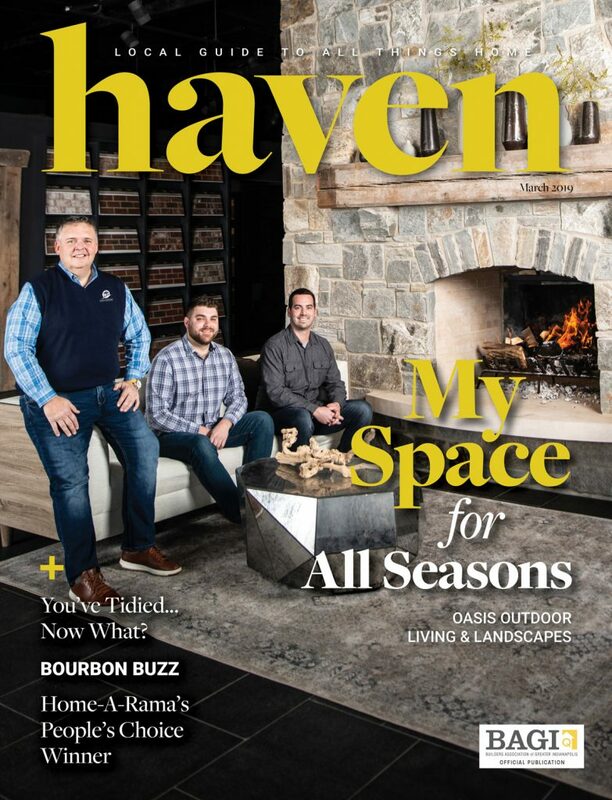 On March 21st, industry professionals and fellow homeowners gathered at Haven Magazine’s Cover Party, featuring our host, Oasis Outdoor Living & Landscapes. The event was open to the public and was a great night of connecting with the best of the best in Indianapolis. Thanks to racecar driver, Pippa Mann, who stopped by the cover party at Four Day Ray Brewing, to help us support Twisted Pink and Metastatic Breast Cancer Research. See you in May for our next cover party and the biggest event for homeowners and industry professionals! The mission of Twisted Pink is to extend life and improve quality of life for late stage breast cancer patients and their families by funding metastatic (stage IV) breast cancer research. Learn more about Twisted Pink by watching our video! ACo: How Can You Tell Your Home is Outdated? The Baer Minimalist: You've Tidied...Now What?! 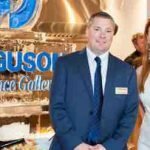 Indiana Design Center: Spring Fling! ARDENT DESIGN: New Interior Design Trends: Where Do They Come From? HOMESENSE HEATING & COOLING: Hot Upstairs, Cold Downstairs? REMAX: Are You Enjoying Your Home Outdoor Space? DRAPERY STREET: Should I Motorize My Window Treatments? ARDENT DESIGN: Bring On the Color! HOME ARTISANS OF INDIANA: Who’s Ready for Spring Cleaning? The Affordable Companies Product Feature: Life Happens! Digital Sight & Sound: Surveillance Camera Systems - How Do I Choose? Stone Artisans: Which Stone is Best for Your Space? The Forney Group: Get a Move On! Bin There Dump That: Declutter Your Home and Get Organized! The Affordable Companies: What Flooring Is Right For You? The Affordable Companies: So, You’re Looking For New Flooring?